If you get up one day and find crow’s feet are all around your eyes, don’t be crazy. I will tell you some ways to turn back time or at least conceal them. Tip 1: botox is a permanent fix although it is still controversial. Botox relaxes the lines and seems to erase them to some extent. Many popular stars and women focus on their appearance cannot live without it. Tip 2: don’t overuse concealer or powders. Using too much concealer to cover up crow’s feet will make you end up with raccoon eyes. Apply just a few dabs of concealer every time and pat in concealer with ring finger. It is much better if you have a brush to distribute concealer. Tip 3: wearing sunscreen as long as you go out. Wrinkles, to a large degree, are caused by sun. You need to wear sunscreen on your face no matter rain or shine. Cultivating this habit is good for your skin health. Tip 4: take moderate retinoids. 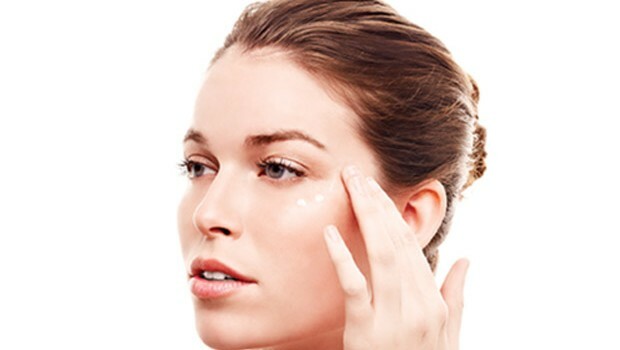 If you are looking forward to find a miracle cream, I will answer you with one word, which is retinoid. We also call it Vitamin A. The only anti-aging on the market that has proven again and again to reduce crow’s feet and wrinkles is Vitamin A. Retin-A is a derivative of Vitamin A. A huge number of over-the-counter medications containing lower dose of Vitamin A and all these products were created specifically to fight crow’s feet. However, it is much better to use these products under the advice of a physician. Tip 5: get chemical peel now and then. Chemical peels are an excellent approach to get rid of layers of dead skin cells. In this way, crow’s feet can be diminished or concealed.